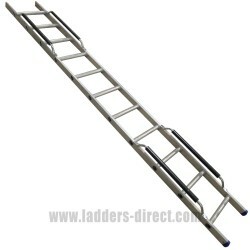 The Clow Aluminium Extending Roof Ladder can cover roofs up to 6.6m in length. 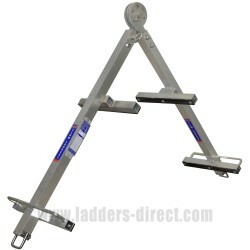 With the optional ERL2 Extension Section this ladder provides a maximum useable length of 9.4m (30'9″). 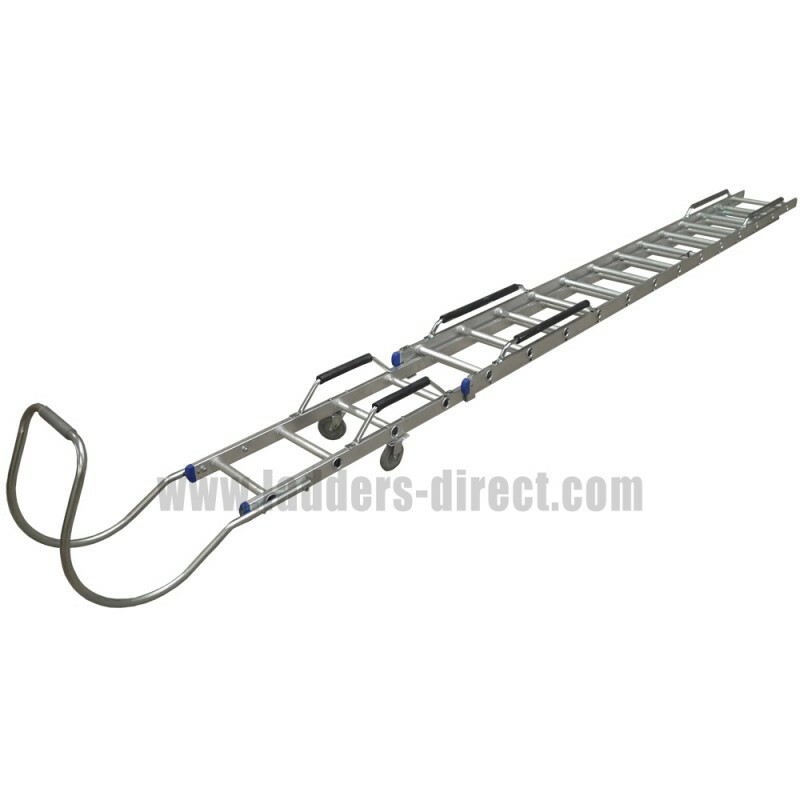 The Clow extending roof ladder is compact and easily transportable with a closed length of 3.9m yet when extended can cover all roofs up to 6.6m in length. 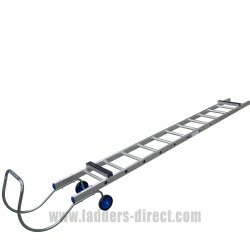 This roof ladder is fitted with longtitudinal pressure boards and heavy duty castors (one of which is rotatable through 360° for maximum manoeuvrability on the roof). 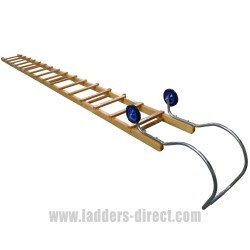 There is an extension available for the above ladder, giving a maximum useable length of 9.4m (30’9”) attached to a main ladder by aluminium spigot and retained by screw and wingnut (product code ERL2).